Where to begin. Well, let’s just say there is no way I’m going to cover even a fraction of what I saw/heard at the conference, there was just so much content. I’ve counted that there were 39 presentations in three days, one of those was broken into case studies with different presenters being allocated 2 minutes (in one hour there were 12 presentations)! So I’ll go for the stand-out highlights for me and I’ll do a few different posts over the next week or so to not bombard you with too much info. 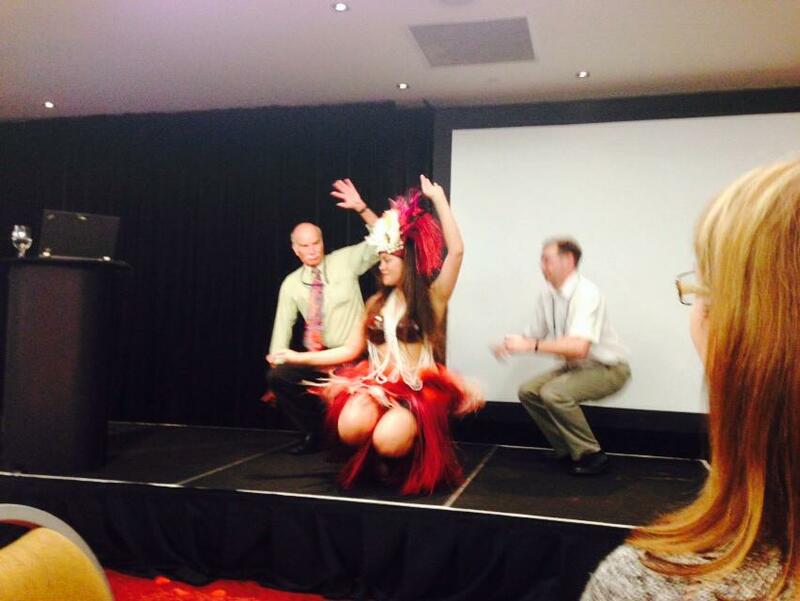 I attended three workshops – we got to choose those when we registered and two of them I found fantastic. The first was on Differential Diagnosis of Lymphoedema, presented by my favourite, Prof Neil Piller of Flinders University, and Vaughan Keeley of the Royal Derby Hospital, UK. 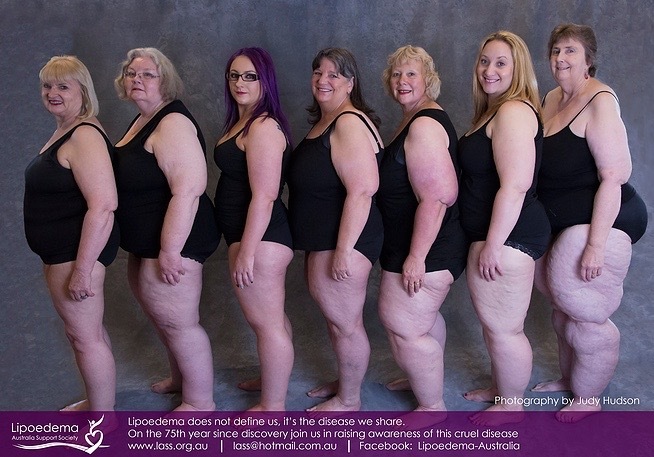 Was really pleased that they focussed on lipoedema and the difficulties of diagnosing some cases. I found the presentations by Dr Hiroo Suami of the University of Texas MD Anderson Cancer Centre to be very interesting and amazingly upbeat and humourous (quite difficult I reckon when showing slides of cadavers). 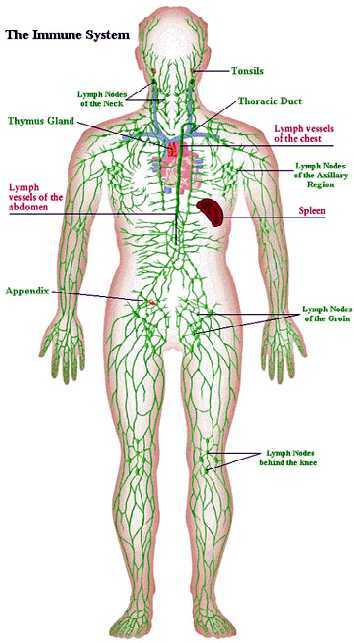 He has pioneered The Lymphosome Concept, a way of “visualising the lymphatic system using hydrogen peroxide and a radio-opaque medium injected into cadavers then using radiographs and three-dimensional computed tomography scans to see how and where lymphatic fluid flows, which vessels, nodes and territories it uses. Fascinating. He also talked about surgical treatment for lymphoedema, including creating new channels to increase the capacity to transport lymph fluid; liposuction or lymphovenous shunting, lymphatic graft and vascularised lymph node transfer. One of the most interesting things I heard was in one of the “breakaway sessions” of four talks. It was by another of my favourite presenters, Alex Munnoch, of Ninewells Hospital in the UK. He noted that surgical staff who perform long surgeries often complain of leg discomfort and oedema, so they set up a small trial to see whether T.E.D. stockings (those beautiful white stockings you are given when you’ve had some surgery in hospital) have an effect on the level of oedema. One leg was randomised (by the flipping of a coin, very scientific criteria indeed!) to wear a T.E.D. stocking and the control leg (the other side) would receive no compression at all. Fluid levels were measured before and after the surgeries. 40 legs were studied in all with an average operating time of 9.5 hours. Results? T.E.D. stockings were found to reduce the increase of fluid and interestingly, when they tried the experiment using compression stockings instead of T.E.D. stockings the degree of oedema increased! What!! That was a surprise indeed. He conceded that such a small study was perhaps not conclusive and more study was definitely warranted. On the first day there I also attended presentations on head and neck lymphoedema management; lymphoedema and osteopathic care; reducing oedema after lower limb cellulitis; wounds and lymphoedema; and case study presentations on things such as; TRAM flap reconstruction; layered compression garments; liposuction; bioimpedance spectroscopy; kineseotape post radiotherapy; yellow nail syndrome …. the list goes on. My head was swimming by the end of the day, that’s for sure. If you’d like more info on any of the topics I mentioned, please leave me a comment and I’ll add some more infomation. To access more information about lymphoedema and it’s treatment, visit the ALA website here. But it wasn’t all hard work – here’s a photo from the closing ceremony of two of my favourites … Prof Piller and Alex Nunnoch, good on them for getting into the spirit of things! So … pause for effect. 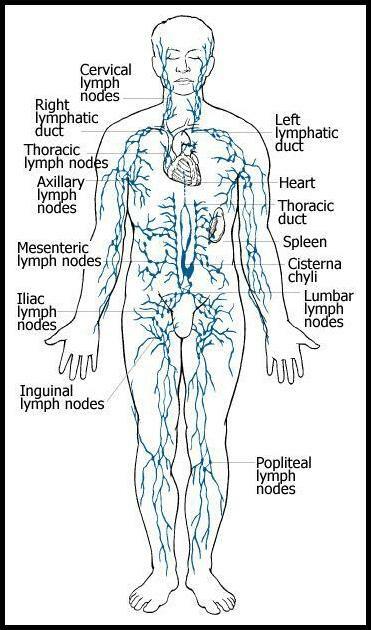 Next week I will commence a four week training course in the Vodder technique of Manual Lymphatic Drainage. I paused for effect because, well, I already use the Vodder technique – I was taught it when I did my diploma at Nature Care College back in 2005/2006. (http://www.naturecare.com.au/) . Updated 16/7/13 – I suddenly thought that I should clarify here – the teaching I received was based on the Vodder Technique, not the actual technique itself. The problem is that Nature Care no longer teaches the Diploma and hasn’t offered any follow up sessions until this year when they offered an oncology seminar. I tried twice to attend this, they were both cancelled. Frustrating. The even bigger issue is that the ALA (Australasian Lymphology Association – http://www.lymphoedema.org.au) – which is the place to find out all about lymphology, treatment, research, practitioners and education in lymphology – does not recognise the Diploma I received. 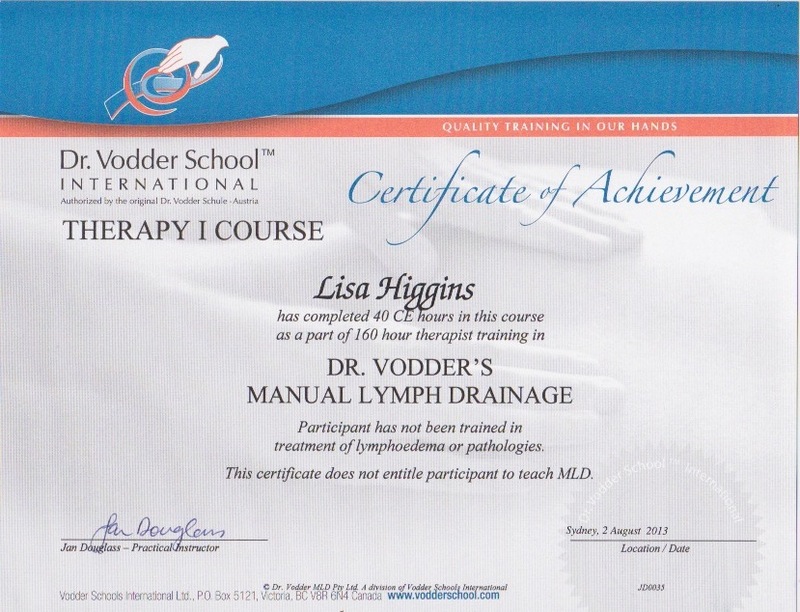 As a massage therapist, to be registered as a practitioner on the ALA website (there are different levels of registration – medical practitioners, physiotherapists, nurses and other allied practitioners and massage therapists) they require a qualification in the Vodder or Foldi techniques (whom I consider the ultimate in lymphatic drainage) or in the Casley-Smith technique (another excellent method) or a certificate from the Academy of Lymphatic Studies (I haven’t come across them before). What frustrates me the most is that I haven’t been able to do any continuing education in lymphatic drainage since I qualified in 2006. (My diploma consisted of 126 hours of class time and 52 hours of clinic time.) I decided that seven years is enough, I needed an update. And the only way I can do that is to redo my entire qualification. So. Next Monday I start four weeks of intensive training in the Vodder technique through The Vodder School (http://www.vodderschool.com/). I am excited, even though I have to start from scratch I know that I will learn lots of new things and being able to ask questions from a much deeper level of understanding than the first time round will be immensely beneficial. And one of the most exciting things is that Prof Neil Piller will be delivering some of the course (http://www.flinders.edu.au/people/neil.piller). He is considered an expert in lymphoedema treatment in Australia and carries out research in all aspects of lymphology, amongst other things. It will be an honour to be able to spend time learning and speaking with him. What this means for me is four weeks off work. The course runs Monday to Friday, 8.30am to 4.30pm and I’ll be travelling 1.5 hrs each way. Not sure how I’m going to go with all of that but I guess it’s one day at a time. But I’m thinking that there may not be too many blog posts during that time, I’ll have to see how much energy I’ve got. But then again, there may be so many interesting things to pass on that I just have to sit and write about them. Watch this space.